FORT LAUDERDALE, Fla. (Nov. 16, 2018) – FOX Sports Florida, the regional television home of the Florida Panthers, announced the Panthers vs. New York Rangers game on Saturday, Nov. 17 will be made available on the FOX Sports Florida alternate channel for select television providers. 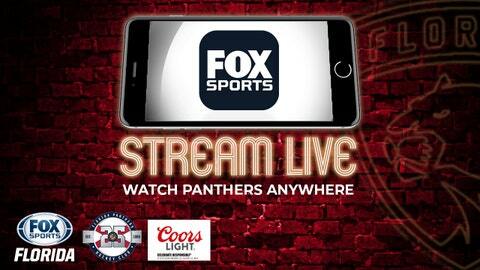 In addition to television coverage, the game will be made available for streaming live on the FOX Sports app. The game will appear on the regular FOX Sports Florida channel for all providers not listed above. For more information on the FOX Sports Florida and FOX Sports Sun alternate channels, click here.